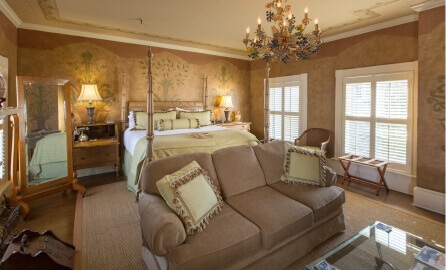 An Old Town Trolley Tour is included in this package at our Savannah luxury Inn. This sightseeing BOUTIQUE INN tour package covers it all. Enjoy the ride on one of the best Savannah sightseeing tours via Savannah’s Old Town Trolley Tours, including stops at many of our historical sites. Relax, ride, listen, and learn. Pickup and drop-off is every 20 minutes at all of their convenient stops. 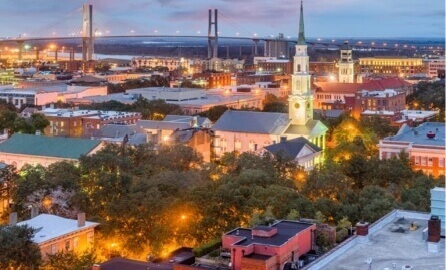 A walking tour with one of Savannah’s best haunted tour guides, twists and winds through the dark and creepy streets of Savannah – make sure you bring your camera along, you never know what you might see! 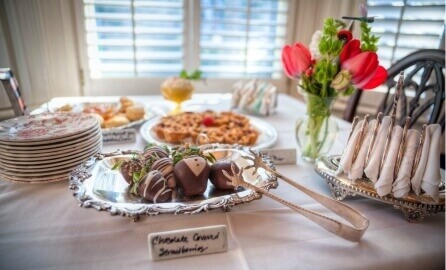 Relax outside or under umbrellas for a whimsical time and wonderful lunch Savannah style.